The crisis of the disappearing bees is one that people at large remain largely oblivious to or unconcerned about. Since the early observations of CCD (Colony Collapse Disorder) around the world, bee keepers and scientists have been trying their hardest to find a reasoning behind the phenomenon. However, as with any environmental issue the issue is multi-polar. It is likely that there are numerous reasons behind CCD, a sign that the environment is in a poor condition. Nature is making us sit up and think that there may be a wider problem and it is likely that it is related to the way we manage our land. The principle connection has been drawn between the bee deaths and the neonicotinoid family of pesticides. The argument has gone that the small dose of pesticide that the bee takes in having collected the nectar from its chosen plant is enough to affect the memory of the bee, making it impossible for the bee to find its way back to the Queen and the hive. This article has been written with the aim of publicising some recent research in Italy which has shown that there is a molecular trigger that neoncicotinoid pesticides may harm bee colonies. Experiments headed by Francesco Pennacchio of the University of Naples suggest that exposure to neonicotinoids results in increased levels of a particular protein in bees that inhibits a key molecule involved in the immune response, making the insects more susceptible to attack by harmful viruses. They have identified a gene in insects that codes for a protein family similar to that found in other animals that is known to regulate the immune response. When bees were then exposed to ‘sub lethal doses’ of the neonicotinoid clothianidin there was a significant increase in the gene encoding of the particular protein . When a common pathogen was then injected into the bees exposed to clothianidin – deformed wing virus, a disease that bees should normally be able to keep in check by their immune system – there was significant replication of teh virus which was not seen in the control group which had not been influenced by any neonicotinoid. Additional toxicology tests are still needed to replicate the findings from the first tests but the evidence seems to be pointing to neonicotinoids being the reason behind the losses of these major pollinators. It frustrates me that the NFU and other farming bodies (as well as the EPA in the US) refuse to back down over the issue. 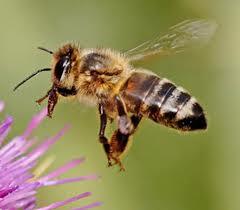 They maintain that neonics do not have any influence behind the loss of the honeybess. Yet, it is exactly this group who stand to lose the most should the bee losses continue. We rely on these pollinators for many of our crops even though our principle commodities, such as wheat, are wind pollinated. As mentioned previously the losses of bees are not the only issue here. It points to a wider issue in our management of the environment and our use of chemicals in systems that are so complex that we will never be able to understand fully the effects of one variable on a multiple aspect of conclusions. We must realise that the current agricultural paradigm is not sustainable and it is not ultimately beneficial for any living thing. We are reaching a stage when we should all be environmental activists to a certain extent because ultimately we are all implicated in the changes that are happening. Some of these are beyond our control (such as climate change). However, some environmental problems, such as CCD and the use of some chemicals that can affect ecosystems, are in our power to make changes. As Michael Pollen says, we all have the option to make change three times a day through the choice of what we eat. By eating organic one knows that the systems of management of the food have been more holistic and are, in this case, pollinator friendly. The trouble I find is that people either don’t know what ‘organic’ means or, to go even further, do not care what the origins of their food are, when it comes to chemical residues. Animal welfare has become high on teh agenda but, perhaps because of the power and influence of the big chemical firms, the way our fields of wheat, barley, vegetables, rice and other field crops are managed does not cross peoples’ minds. This needs to change but the question is how can we go about it? Generational change I think is the answer here. The current generations are too much embroiled in the industry and have set views that are unlikely to change. Education is the answer I feel. From the very beginning we must teach our children the importance of what we put in our mouths. To be healthy yes, but also to allow the land to be healthy and our environments to be healthy. Anyone who has a child can make changes this way. Explain the problems in a simple way and let them find the rest out for themselves. We need a world of activists not passive consumers. Have this conversation in your local pub, social club or round the kitchen table. Try and mkae changes and change attitudes. Vote with your pound or dollar when you choose what food to buy each week. The little guy can make a difference. Those in power just need to hear us. At least some testing was done on the effect of neonics on honey bees before these neonic chemicals became so widespread. Clearly the ones based on 50% mortality have turned out not to tell the full picture, which appears to be emerging now. We should be aware that honey bees are not the best pollinators and the effect of neonics on the various bumble bees, solitary bees and multitudes of flies should be researched. In addition the persistence of these chemicals in the soil ought to give rise to concern about potential toxicity to soil fauna. I find it worrying that this class of pesticides became so widely used with such limited testing.